Born and raised in Fort Thomas, Kentucky, Dr. Kramer went to Highlands High School where he played 4 years of football. From there he took a stroll down the road to Georgetown College and played another 4 years of football. After undergrad Dr. Kramer applied to University of Louisville Dental School where he became, Dr. Troy James Kramer. Dr. Kramer's interest in dentistry came at a young age, as he would frequently work with his uncle (an oral surgeon) throughout high school and college. Dr. Kramer recently had a little girl and enjoys spending time with his family. During his free time he also enjoys working out, golfing and spending time on the lake. Kara grew up in St. Charles, Illinois which is located in the Western Suburbs of Chicago. She has always had a niche for taking care of others. Majoring in Sociology at the University of Louisville and receiving her master in Public Health, Kara worked for Health Carousel before joining Dr. Kramer at his office. Grew up in Northern Kentucky, Attended NCC high school. 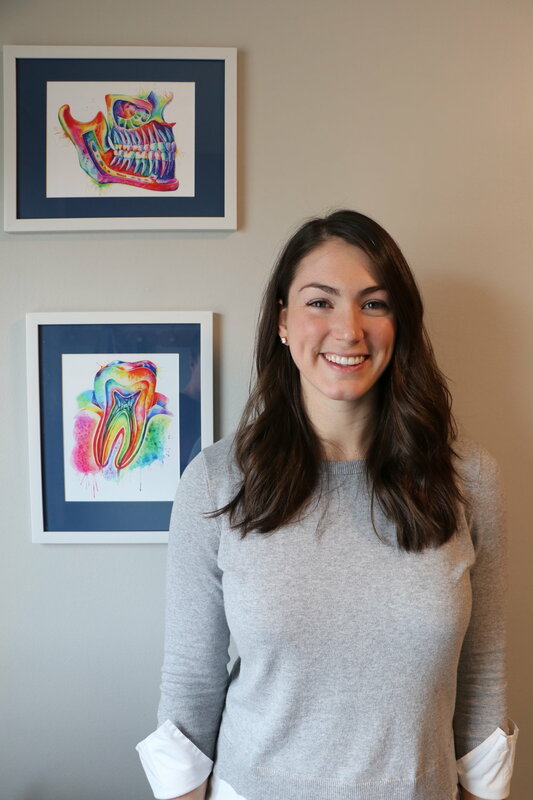 Chelsea graduated from UC in 2016 and always saw a future in the dental field. Growing up Chelsea had a lot of orthodontic work including braces, retainers, expanders and along the way become in love with the work. Christina grew up in Alexandria and attended Campbell County High School. She received her degree from the University of Cincinnati. Christina has been in the medical field for over 17 years. Started out as a surgical assistant, then four - handed dentistry while helping out with the administration side of a dentist office. Christina couldn't get enough - she went back to hygiene school. Christina loves working with people hence why in her spare time she helps out with organizations like: Dentistry from the heart & Teen Smiles. Denise always enjoyed making people feel comfortable. Her father was a Marine, so home was always temporary. Denise graduated from high school in Anderson, after her family moved here when she was in the eighth grade. Denise has been working as an assistant for over 40+ years.